Here's a small solar charged emergency power box I built up with an old 80 watt solar panel and some retired burglar alarm batteries. It sits on the back deck and just keeps the batteries charged. It'll provide enough power to recharge USB devices and run a laptop for a while. 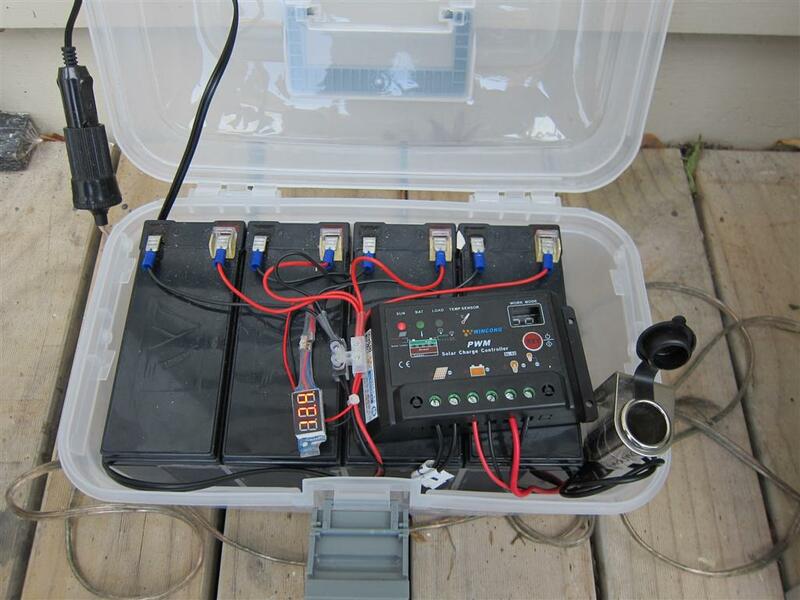 The batteries and controller fit in a plastic box that sits behind the solar panel, which lives in the back deck. Given that the system is never under any real load it does not need to be facing the sun directly. So our west facing deck is good enough. The battery box is small enough to carry in one hand - so it's easily transportable. 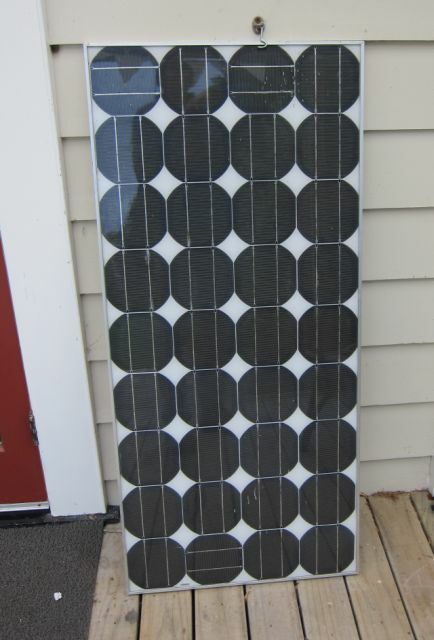 The 80 watt panel is bigger than needed - but I had it spare, so it might as well be doing something! I upgraded the battery and charger to lithium.